Cutiecle Is Now At IPC! And so I've done it. I've gone the entire November not posting anything on this blog, and just because I am ridiculously guilty... I've come back with some great news for the beauty buffs! That's right - as my post title suggests, Cutiecle has officially opened up at IPC, Mutiara Damansara! 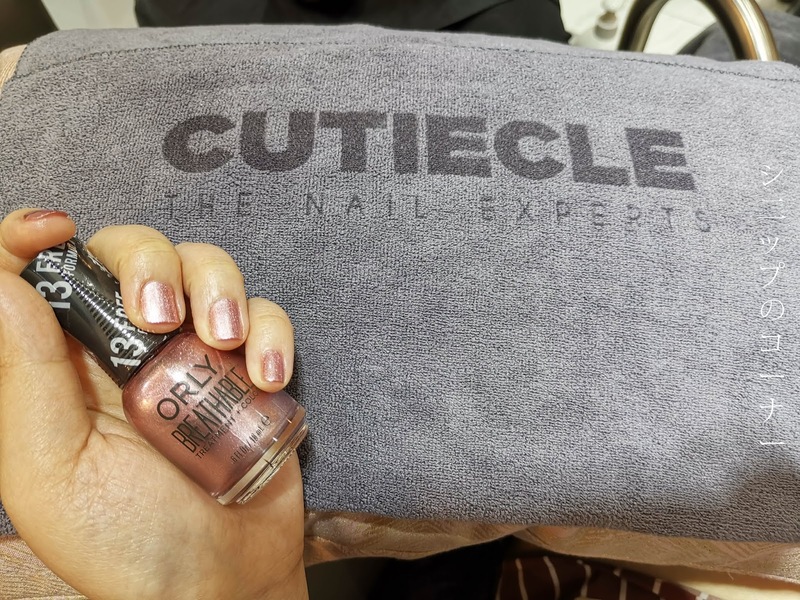 On background: Cutiecle first opened in year 2014 at Giant, Kota Damansara providing professional manicure and pedicure services. Their second branch at the Mines, Kuala Lumpur popped up 2 years later and now they've popped up at IPC, Mutiara Damansara! Located on the 2nd floor right opposite Popular bookstore, it's almost impossible to miss out Cutiecle with their bright and cheery front. 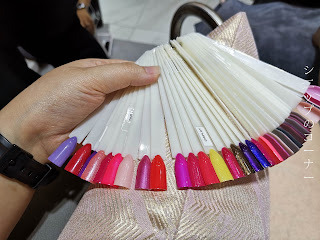 They also have friendly beauticians who would tend to your every question even before you step in, and for that I give it 10 over 10 nails. According to one of the beauticians, Cutiecle uses only high quality nail polishes including brands such as OPI, Entity, and even ORLY - the breathable nail polish that is Muslim friendly! Colour choices are feel almost at Cutiecle so if you're like me and you have difficulty choosing stuff, you're in for a field trip here. This however shouldn't be a problem because their pedicure seating area is so comfortable, you'd wish you could spend the entire day at the shop anyway. To be honest, this is the first time I've ever had a pedicure and manicure done - but I've completely fallen in love with how it feels overall. On top of that, I also got a Footlogix treatment done at Cutiecle, something no other nail spas currently offer. For those of you who have no idea what this is, Footlogix is essentially the world's first and only pediceutical foot care product that's clinically proven to help with various foot conditions such as callused skin, foot odour, cracked heels, and much more. Meet my professionally trained beautician - Theresa! 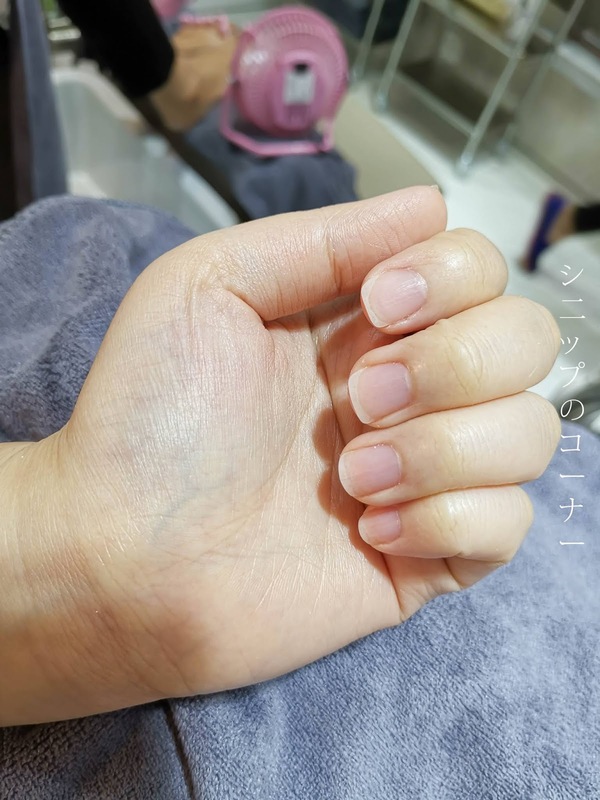 In this 1 hour Footlogix Callus Treament at Cutiecle, you will experience professional services such as skin exfoliation and dead skin removal. 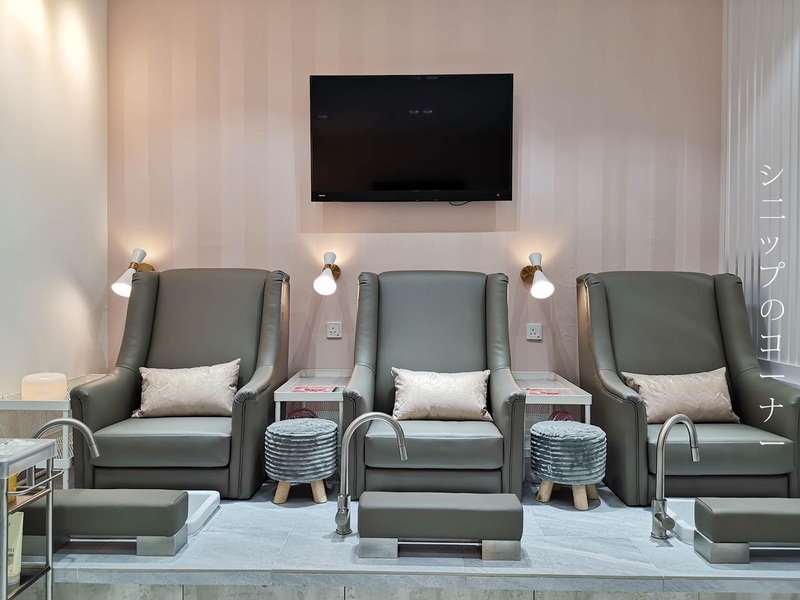 In fact, you may not even know that you need the treatment until you relax and unwind into one of Cutiecle's comfortable seats and let the professionals simply go at your feet. I was really shocked at the amount of dead skin they removed from the bottom of my feet! Look at all that dead skin just hanging around the cloth! Sorry about the condition of my feet by the way, I had this ridiculous allergy through November that just wouldn't go away and left rather unsightly scars along the way. But hey, check out all that dead skin they accumulated on the towel from just 1 feet! My feet, though perhaps not visible in this picture was noticeably softer to touch and I've never felt it so silky smooth in my life. After all, the Footlogix Exfoliating Seaweed Scrub has encompassed premium high grade ingredients to exfoliate my skin without being overly abrasive, and I expected nothing less from a professional treatment as this. Available for RM 108 for ladies or RM 118 for men. You can also pair it with a pedicure session at RM 138 for ladies or RM 148 for men and the treatment takes approximately 1 hour to complete. For the ultimate pamper package, I also got myself a manicure that day and had the beauticians give my nails a shape after forever. 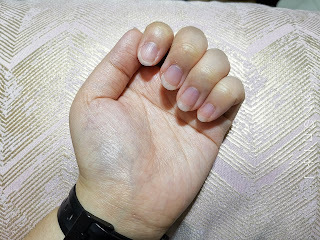 I mean, I'm one of the laziest people around so cutting my nails sometimes feel like quite a chore. As I'm also expecting to make it to a wedding over the weekends, I picked out a gorgeous rose gold colour from ORLY and I've never loved my nails so much since. What surprised most however was when the beautician mentioned that ORLY is a breathable nail polish, so water could actually penetrate into your nails even through the polish. This means great news for my Muslim friends because it is then "wudhu" friendly! It's also less harmful to your nails because oxygen can get to your nails and dry in half the time. Officially my favourite nail polish brand now as compared to other cheaper brands I used to simply grab from any other beauty parlours. Look at all these gorgeous colours! Remember when I said you'd have a tough time picking out colours? Now imagine looking at about 4 to 5 of these palettes that I'm holding in the picture above and you'd get what I mean. 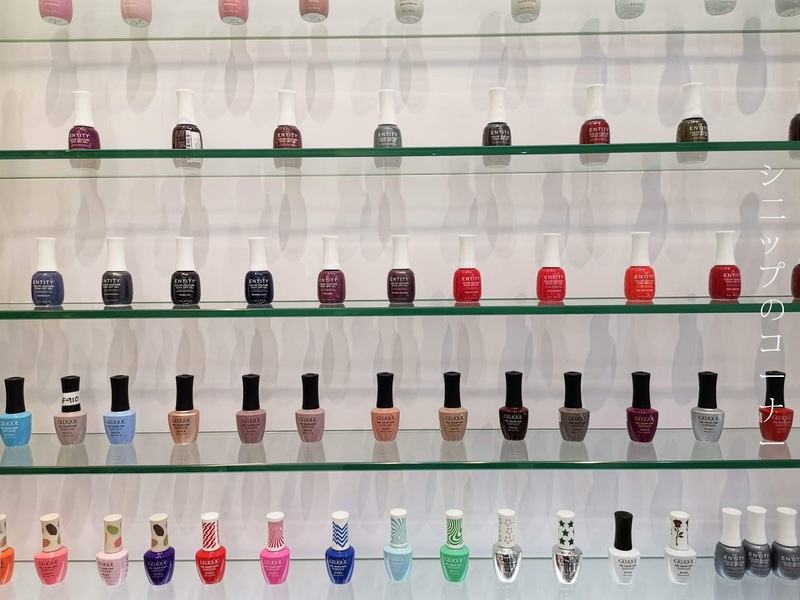 Honestly, this doesn't even include the beautifully customized nail art that the beauticians can do for you! And as far as treats go, my mum also got herself a classical French manicure to fit her everyday needs. 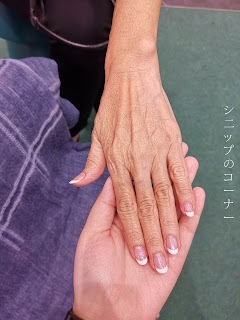 Perhaps not as obvious in the picture, but mum's nails are slightly glittery and shiny. This is courtesy to the Entity top coat that I picked out for her, and it's definitely going to shine through the wedding dinner she's going to be attending through the weekend too. Prices for a classical Cutiecle experience starts at RM 58 for ladies and RM 65 for men, though you could also get greater indulgences if you simply asked the friendly ladies at the saloon. 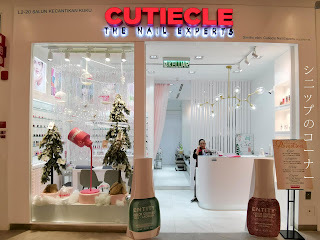 Cutiecle also provides quick manicures and pedicures for kids, and because they use only high quality nail polishes, their nails are not harmed through the process. 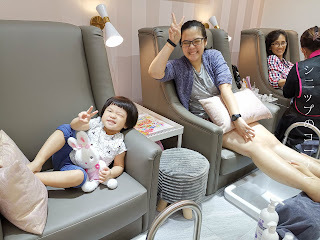 Of course, my niece didn't actually get a treatment that day because she's way too young but the beauticians were friendly enough to play pretend with the cheeky little toddler. Prices for the Little Cutiecle experiences start from RM 5 only! As an opening special, Cutiecle is now offering gel manicures from only RM 88 up while gel pedicures start from RM 98 up. I highly recommend this place for the overall first time manicure and pedicure experience, and maybe you'd fall in love just as I did too! For bookings and queries, I think you can reach out to them on their Facebook page or just drop by Cutiecle at Level 2 of IPC Shopping Mall, Mutiara Damansara from 10AM to 10PM daily!